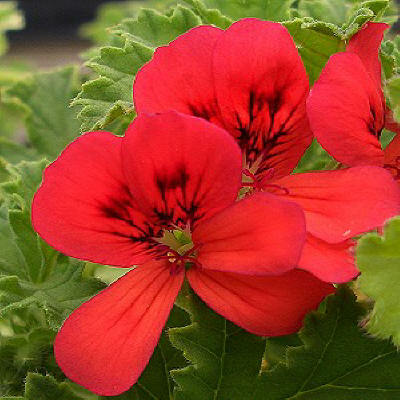 One of the few red flowered Scented Geraniums, Mrs. Taylor is reminiscent of the old fashioned non scented traditional red flowering geraniums that are famous for hanging out of window boxes. Mrs. Taylor is scented of musky woods and, with its frilly leaves, makes a striking border or informal edging plant. 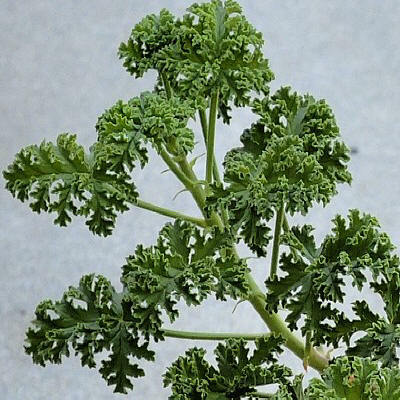 Mrs. Taylor Scented Geranium makes a great addition to our Zone 8-11 Fragrant Herb Garden Six Pack.